A great portable and therapeutic seat you'll be using for years. 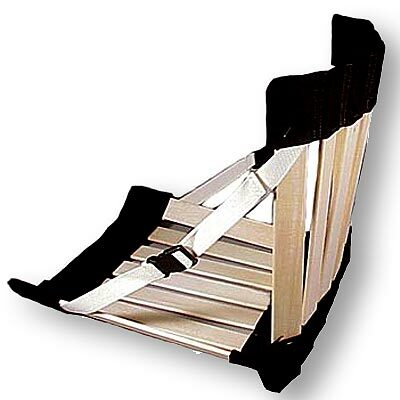 The HowdaSeat takes a cue from a classic proven design that continues to find new uses. Originally created as a bleacher seat for circus patrons, you will find countless uses for this hand made portable wood and canvas chair. Take it to out door concerts, picnic, camping, backpacking, to the beach, or even use it as a gaming chair. 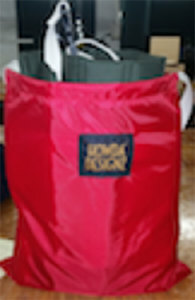 The HowdaSeat rolls up easily for storage or transporting. A handy carry pouch is included. Stylish comfort where ever you go. This chair is vertical back support. This chair will go outside as well as come inside and sit in the sofa. 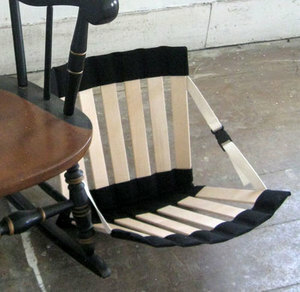 This howdaseat will help support the back for people with back problems. 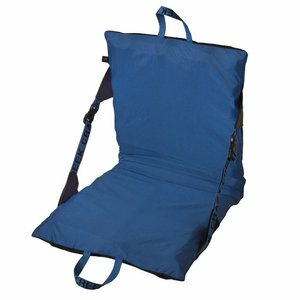 The HowdaSeat has been a familiar sight at sports events, picnics, camping and beach outings since 1989. Made of 100% American Basswood slats, lightest of the hardwoods, and durable 100% cotton canvas. The HowdaSeat supports the back properly which allows you to sit for extensive periods of time without stiffness. Enjoy the HowdaSeat by leaning firmly back so the straps bring the bottom of the seat up snugly against the body. The counterbalance provides complete support as the HowdaSeat naturally contours for total comfort in any position, from upright to reclining.